I am definitely going to try this. Yum and healthy too. I have to admit, I’m intrigued . . . I love pumpkin, but I’m not sure I could drink it? Is it rich tasting? It’s a wee bit tart (I use the plain yogurt, not the vanilla) and has a bit of a kick, because of the spices. 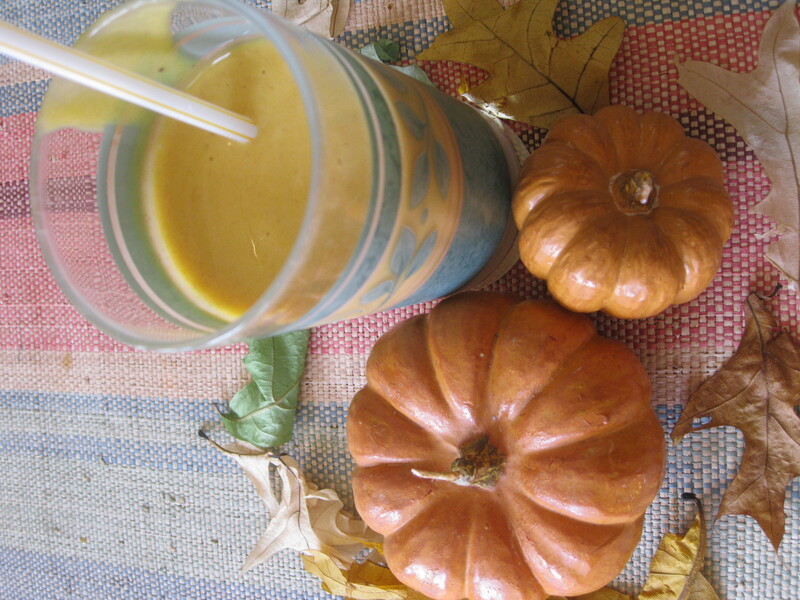 Although my hubby likes just about everything pumpkin that I make, he doesn’t care for the smoothies. My three-year-old doesn’t like them either. But the first two boys and I all love them!